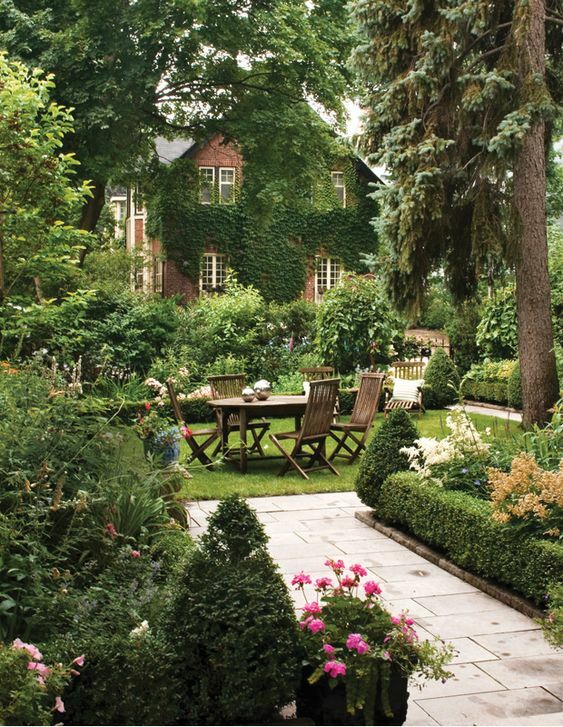 Trying to keep a well-kept garden all year through is hard, especially in the winter months. But it’s worth spending a day in the garden just before summer to clean up old leaves and brush the cobwebs off your garden furniture. 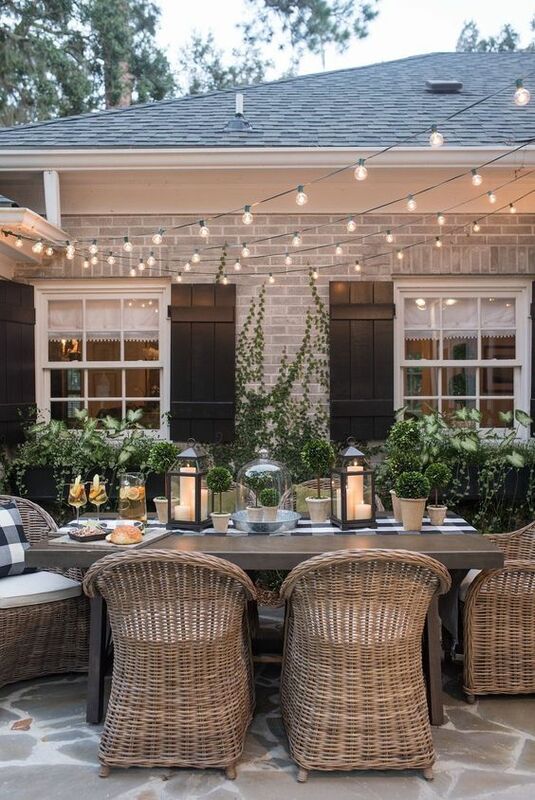 I’ve got some ideas for getting your outdoor space ready for summer. It may seem obvious but mowing and feeding the lawn will make a huge difference! Get your broom out and clear any weeds and sweep leaves and debris from your patio or decking area. And if you feel like taking it to the next level, you could hire a pressure hose and jet wash the patio/decking to bring it back to its former glory! Wipe down your tables and chairs and if necessary give them a fresh coat of paint or gloss. If you have one, clean your BBQ. It’s often a dreaded task but try and wipe down all surfaces with a dry cloth, removing pollen, dirt, and debris. 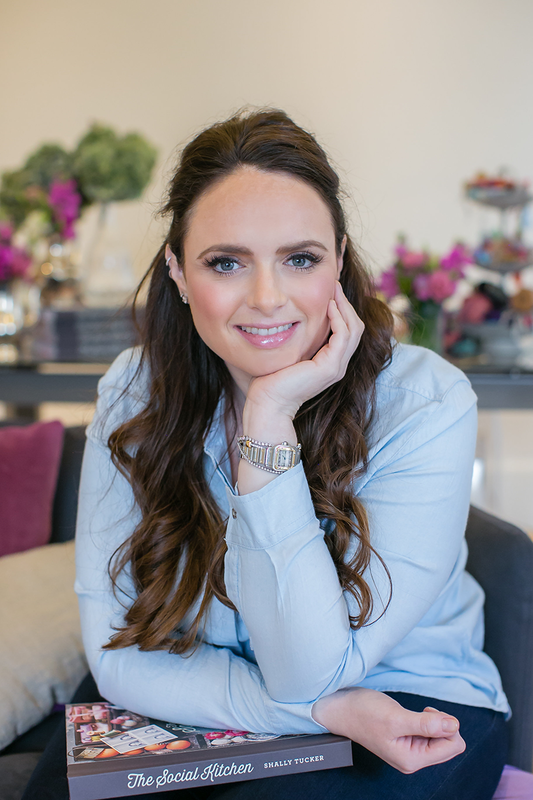 Here are some of my tips for Hosting Your Own BBQ too. Potted plants not only create stunning focal points and add colour to your patio or decking but also can hide ugly corners and define space. 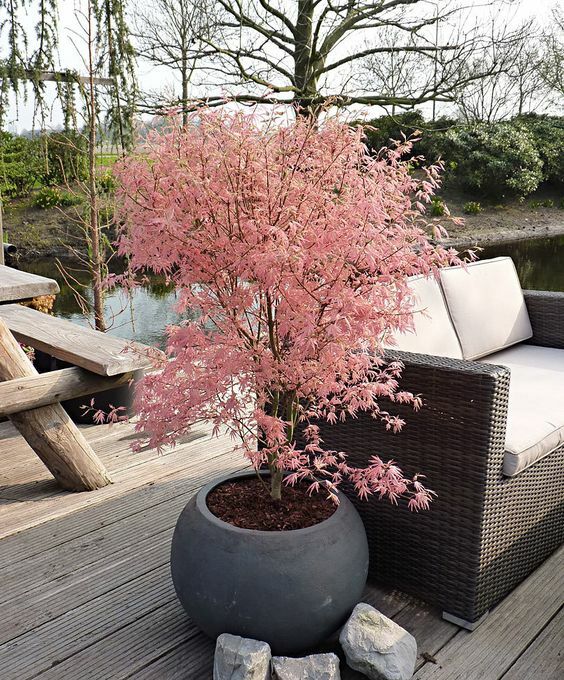 I’d suggest buying pots that are similar in colour or style – allowing you to have a variety of different plants without the space looking unorganized. How about creating a herb wall close to your barbeque? It will create enticing aromas and is accessible for adding to your cooking or summer cocktails. 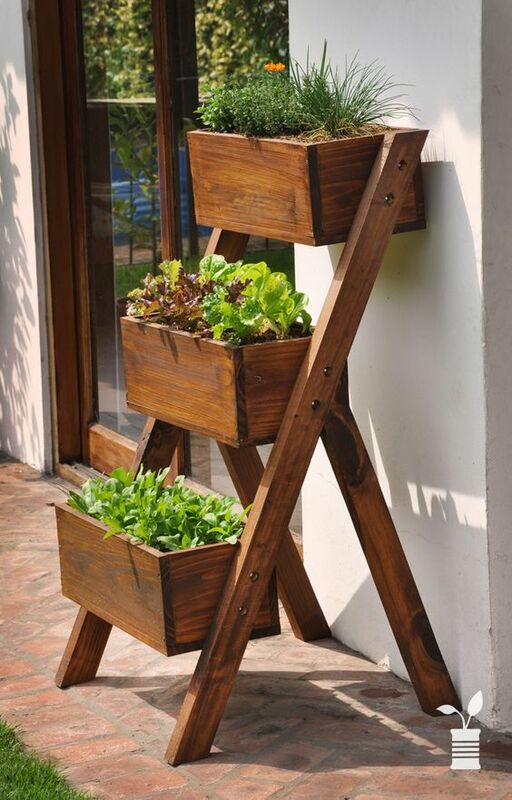 You could even prop an upcycled ladder against the wall as the perfect decorative element and a plant holder. For evening socializing, why not plant some night-scented flowers such as honeysuckle or jasmine to add wonderful aromatic fragrances. Invest in storm lanterns in varying heights and lots of candles for an inviting atmosphere for evening gatherings. 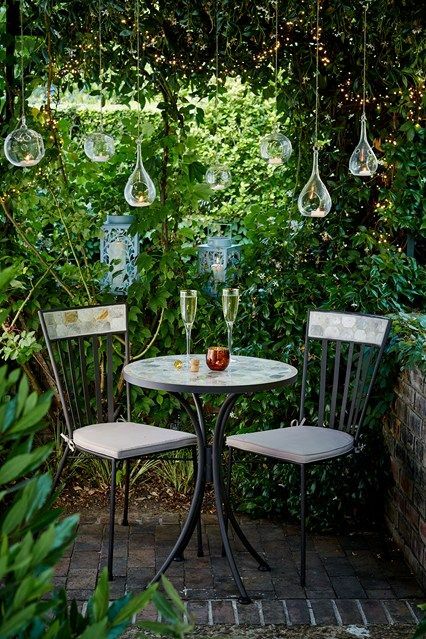 I also love fairy lights which will create wonderful mood lighting for a subtle glow. There are lots of options to stay warm when the English weather cools. 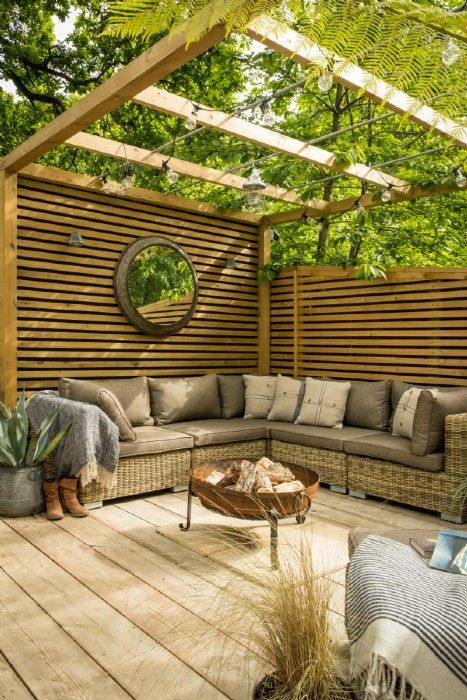 As well as patio heaters, a cosy fire pit provides warmth as well as a central focal point. Also, they are perfect if you fancy some Americana dining in the form of roasted marshmallow s’mores! Or, how about draping bright coloured throws over your furniture – as well as looking stylish, they double as warm blankets. It will look so pretty to add rosemary and lavender around the stems of your glasses or tucking them into your napkin settings for a decorative and fragrant table. You could also transform wooden crates into vintage side tables or plant holders. 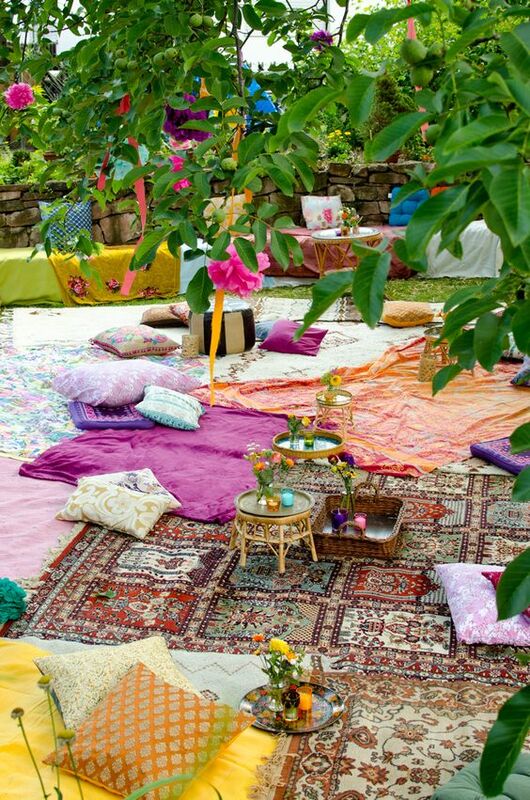 Use lots of scatter cushions, rugs and poufs in vibrant, colours to bring the comfort of your home outside. As a rule, the more textiles and textures you add, the homier it will feel.